Individual Counseling is an ongoing process in which one of our experienced team members works with you to assess your usual eating patterns and identify areas where change is needed. You will leave the first session with insights, educational materials, support, and follow-up to help you make and maintain the dietary changes that are best for YOU. Whether you are a company leader looking to promote wellness within your organization, a healthcare professional needing continuing education, or you need nutritional assistance with any kind of group, we can help you! We offer ongoing classes, seminars, and custom team activities that are tailored to your the specific needs of you & your group. iLiveWell Nutrition is one of fastest growing practices of dietitians in Central Texas. Many of Central Texas’ healthcare providers such as primary care physicians, endocrinologists, cardiologists and psychologists refer their patients to us. 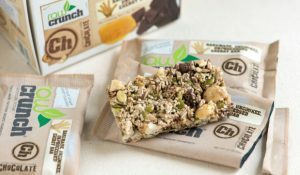 As Registered Dietitians, we are the food and nutrition experts who can translate the science of nutrition into practical solutions for healthy living. All of our nutrition consultants are Registered Dietitians (RD) authorized by the Commission on Dietetic Registration of the Academy of Nutrition and Dietetics and licensed to practice in Texas by Department of State Health Services. We provide clients with a unique plan that is based on their specific needs. Our practice is based on a positive and supportive approach to helping clients live a healthy life. We look forward to seeing you in our office to guide you along towards you health and wellness goals. 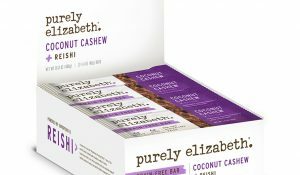 Each month we have a snack of the month that we are able to share with our clients and have samples in the waiting room. 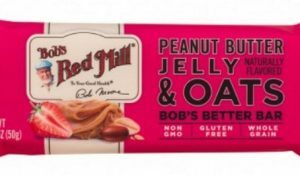 This month we are excited to share Bob’s Red Mill Peanut Butter Jelly & … [Read More...] about March Snack of the Month: Peanut Butter and Jelly to Go! We have two offices located in Austin, Texas. Our Main office is most appointments are held. Please verify your location when making your booking.